This top quality hotel is situated on the Gulf of Papagayo, one of Costa Rica's premier beach destinations. Behind the hotel there is lush rainforest waiting to be explored, making this a location beloved by sun seekers and nature enthusiasts alike. You can spend lazy hours on the beach, taking guided tours in nearby national parks and following walking trails in the coastal mountains. Rooms have hand-carved wooden furniture and woven textiles which add a touch of local flavour. These are complimented by modern features including mini-fridge stocked with cold drinks, cable TV, free WiFi and contemporary bathrooms. All have balconies with sea or forest views. At meal times there's a choice of venues, offering everything from casual snacks to a la carte dining. You'll be able to sample Costa Rican specialities, indulge in fresh seafood and enjoy a special tastings menu a stone's throw from the sea. The Onda Spa offers a range of signature treatments designed to leave you feeling refreshed and revitalised, delivered in a treetop canopy room open to the rainforest and ocean breezes. Other facilities include two infinity pools one exclusively for adult use, a fitness centre and kids club. Open: Andaz Papagayo Resort is open all year. Location: The hotel is on the Papagayo Peninsula on the north Pacific coast, in Guanacaste province. It overlooks Culebra Bay. The nearest airport is Liberia, a 20-minute drive away. San Jose airport is about a 4-hour drive from the resort. Rooms: There are 153 rooms and suites, all with private bathroom with a rain shower, bathrobes, slippers and toiletries, TV, phone, safe, fridge with soft drinks and snacks, kettle for hot drinks, and free WiFi. All are air-conditioned. Room dimensions: standard and bay view rooms 52 sqm, suites 109 sqm, large suites 164 sqm, and the presidential suite 299 sqm. Suites have a living room, larger bathroom and balcony than the other rooms, and can accommodate families (2 adults and 2 children, or up to 6 people in the presidential suite). Some rooms have been designed to be wheelchair accessible. There is 24-hour room service. Activities: Spend time by the pool or on the beach, go swimming, snorkelling, diving, kayaking, paddle boarding, and on land you can go for nature walks. There is a shuttle bus to Prieta Beach Club where you can try a range of water-sports. Boat trips are available from the marina. The hotel has strong links with the local community and guests can take part in volunteer projects, such as visiting a family or school. 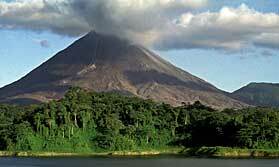 Excursions include trips to national parks, caves and volcanoes. Golf and tennis are available nearby. Adventure activities include zip lining, tubing, white water rafting and rock climbing. You can visit Liberia known for its churches and white-painted colonial houses. Facilities: ONDA Spa has 9 treatment rooms, 6 indoor and 3 outdoor, and offers massage, body treatments, a steam room and yoga classes. The fitness centre is open 24 hours a day. There are 3 restaurants; an all-day open-air restaurant and cafe, the main Ostra Restaurant specialising in fish dishes, and a casual diner by the beach serving tasty local food often to the backdrop of live music. There is a family pool and a separate adults-only pool. From the resort you can access 2 beaches. The resort offers a dry cleaning and laundry service (pay locally), and currency exchange. Dining: Meals are eaten at individual tables. Children: Children of all ages are welcome. There Cambi Kids Club offers activities and games for children between the ages of 4 and 12. Suites can accommodate families. Communication: There is WiFi internet access in guest rooms and public areas. "Exceptional resort. We decided to upgrade our room here which was $180 for the three days and was worth every cent. Room 436 in Block 4 had great views across Culebra Bay. The room was very large. When we arrived we thought the buildings a little plain but after a day we saw how the blended into the environment unlike the Secrets hotel across the bay with its red roof.. The room was also at the quiet end of the resort. Small but nice beach with complimentary paddle boards and canoes also Jet skis for hire $65 for 30 minutes worth a go for the experience. We would recommend a meal at Ostra restaurant and start with the classic cerviche, quite an exceptional dish of fish and seafood with salad in a Lemon / Corriander dressing. we love sushi but this was better. 10 out of 10. A further tip. the soft drinks in the room are complimentary. Get a few extras from the shop and order a bottle of the local rum from room service. Not too expensive and enjoy drinks on your balcony. Lots of Iguanas and birds and the Howler and Cappucin monkeys are the entertainment. Good snorkelling too, "